Serve with mashed potato and broccoli for a perfect winter meal. 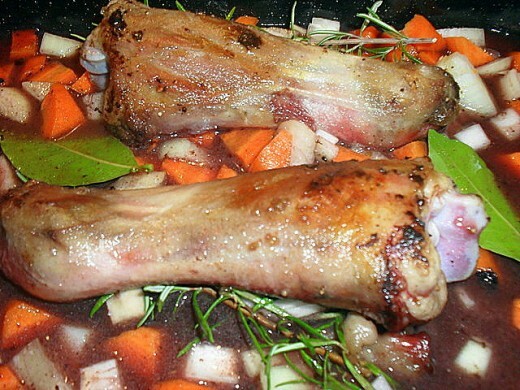 These lamb shanks are so wonderfully quick and easy to prepare, then left to slowly cook until they are succulent and the meat is falling off the bone. Serve with mashed potatoes and a green vegetable such as broccoli for a warming winter meal. Fry the shanks till they are golden brown. Sprinkle the shanks with flour and freshly ground black pepper and fry in some oil over a medium heat until they are golden brown. Don't be tempted to move them around too much but allow them to form a nice crust which will add to the overall flavour. 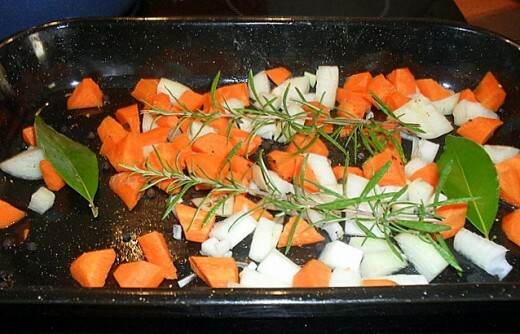 The prepared vegetables and herbs. While the shanks are frying, roughly chop an onion and a couple of carrots and place in a roasting pan with some fresh rosemary and bay leaves. You can substitute dried herbs but use them sparingly as their flavour tends to be stronger and can overpower the dish. 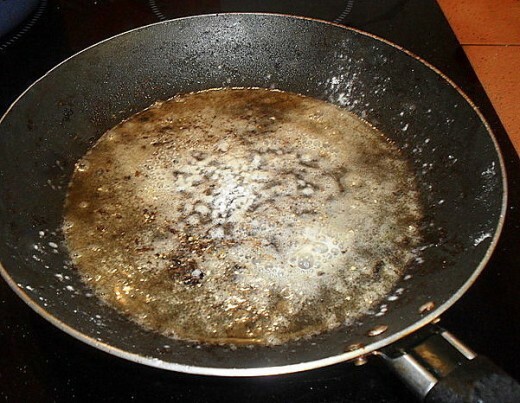 Add flour to the pan juices. Add the wine and let it all reduce, stirring with the magic whisk for a smooth result. Since I bought mine I have never had a lumpy gravy or white sauce - it's perfect for the 'all in one' method You'll also find it invaluable for custard, mayonnaise etc. - see my recipe for 'The best quick and easy salmon recipe ever' for how I use it there. When the shanks are nice & brown, remove them from the fring pan and place them on top of the vegetables. Sprinkle some flour onto the juices in the pan stirring them around over a low heat until the flour starts to cook. 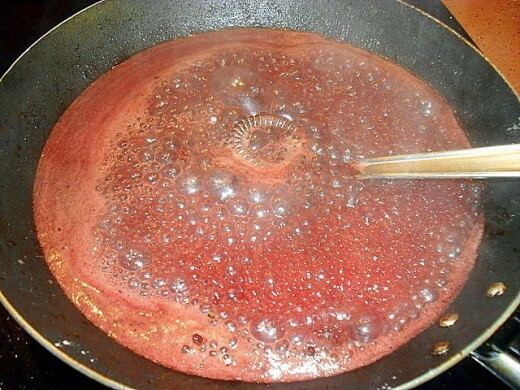 Add red wine to the pan - living in Spain, I use Rioja, but any good red wine will do - stir well into the flour - I find that a 'Magic Whisk' is perfect for this - and let it bubble until it starts to thicken, then pour over the meat and vegetables in the roasting pan. 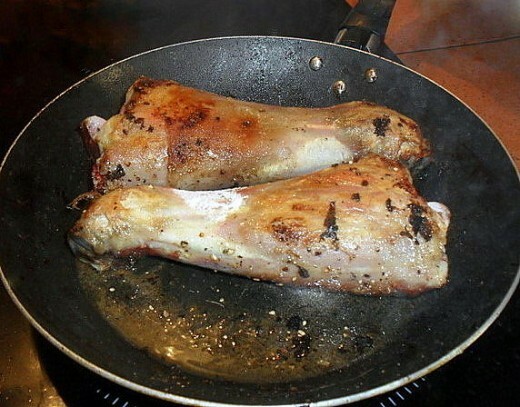 Cover tightly with foil and place in a medium hot oven for about two hours until the meat is tender and falling off the bone. You can, of course cook this in a normal casserole as long as it has a tight fitting lid and it is also suitable for cooking in a slow cooker or crock-pot. A lovely pre-seasoned cast iron Dutch oven set - the lid usefully doubles as a skillet. 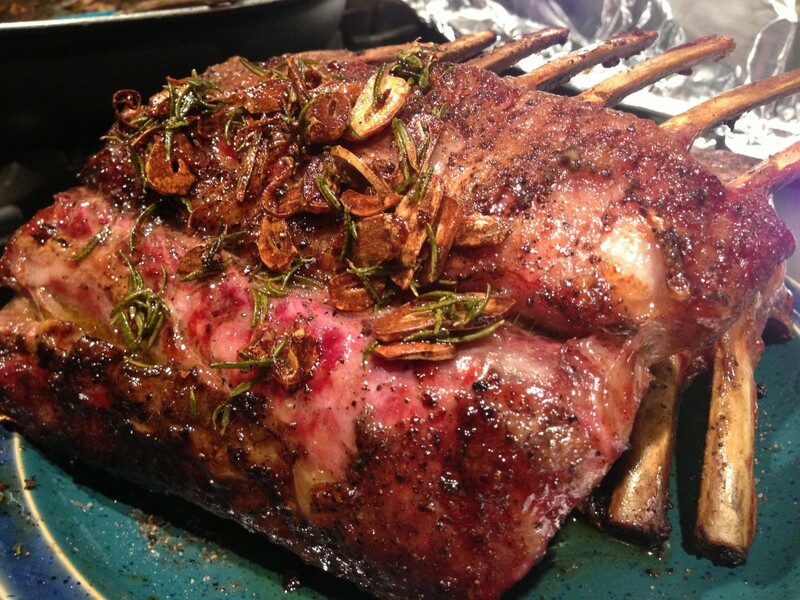 Grilling Rack of Lamb with Rosemary and Garlic ~ Delicious! Gotta try that - looks great! This recipe sounds delicious and the photos are wonderful. Love the one with the cat! Thanks for sharing. This looks delicious. I can't wait to try it. YUM! 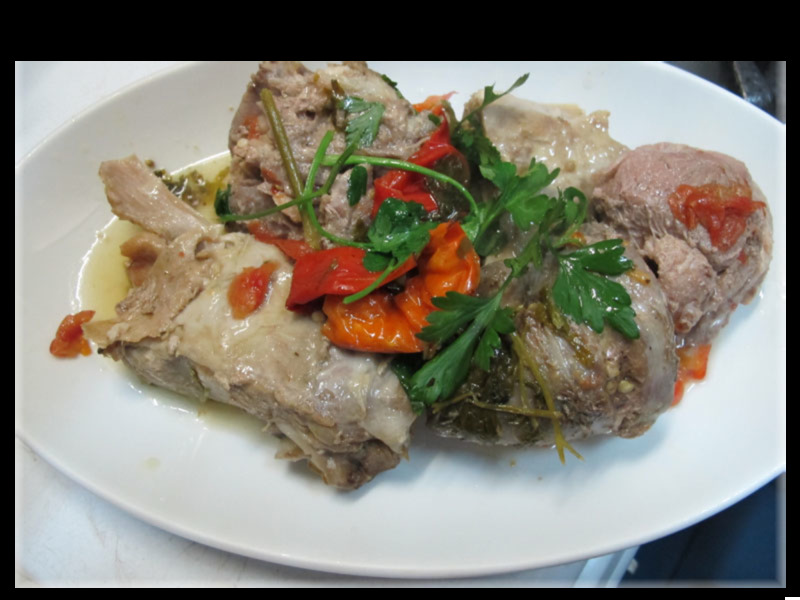 Sounds good Barbara, will try it out soon, last had a dish similar to this in Provence, called 7 hour lamb, been meaning to try and recreate it, but not got round to it. 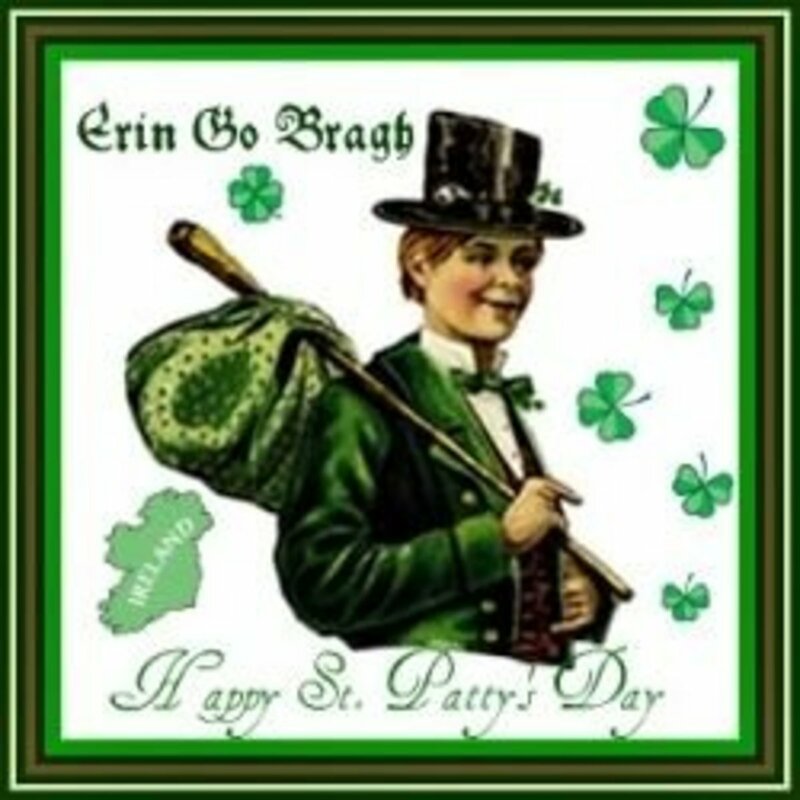 This will spur me on! 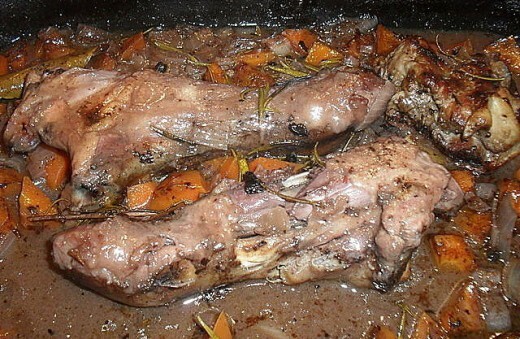 Thanks for the Lamb Shanks recipe Barbara. 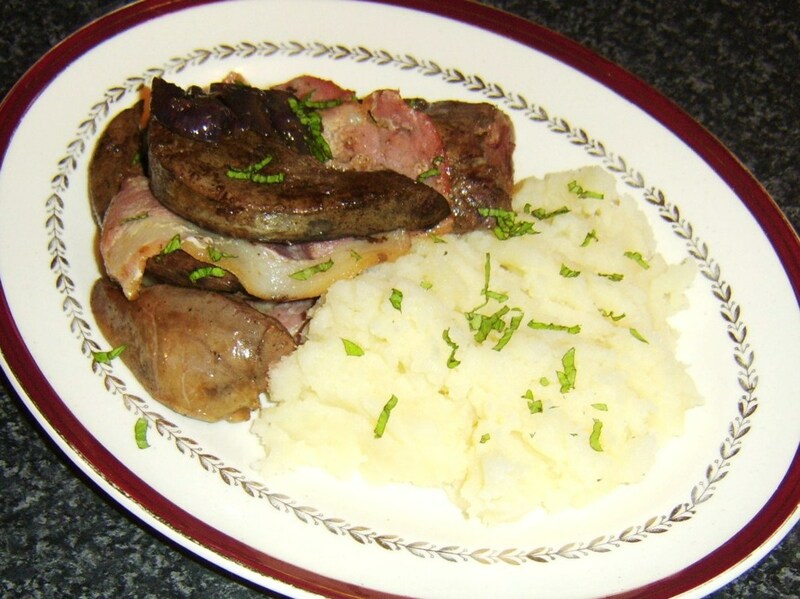 Have been needing a lamb fix recently and this looks quick, easy and probably not too expensive(for lamb! ).....and mouthwatering too. Shall have a go soon. Sounds delicious but.....cooking with Rioja....sacrilege!!! I will definitely try this one, I can almost taste it!!! Your making me feel hungry! I must try this when I return from my short trip back to England, can't wait now to get back to try it out! 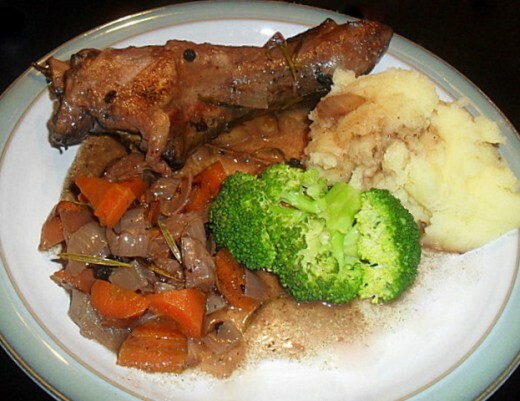 Lamb is my favourite meat and this dish looks so nice!. The recipe you have provided is very easy to follow too, great photos. 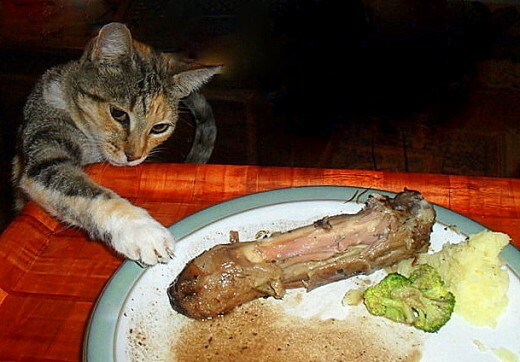 Did the cat get his bone in the end? Oh wow, I wanted to jump into the picture and chow down. I know how your cat feels. Smile! Wow, that was quick - I only published a few minutes ago!